Vegashero. 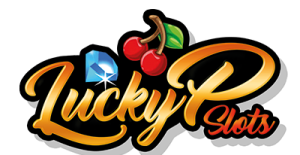 Another new online casino, from the makers of SpinIt and Sloty. And these are not just online casino entrepreneurs. Where sloty and spinit have been a success for a long time, Vegas Hero is the next casino that looks spectacular, plays sublime and presents a nice bonus. The game offer is huge. You can deposit with iDeal. And as a Dutchman you are most welcome at Vegas Hero. But there are also critical aspects. The Live casino games are from Netent, which we still find less than the Evolution games. The payout limit is 22,000 euros per month, which is a lot lower than at other online casinos, and detrimental to high rollers or blissful winners. Remains standing that the design is beautiful, there is a nice VIP program and that you definitely have to take a look at this new player on the market. What kind of games does VegasHero Casino offer? Players can browse and play some of the hottest and latest video slots in the neighborhood, such as NetEnt, Microgaming, Play’n GO and others. Players will be immersed in a new universe of functions and paylines and there are certainly many slot machines to choose from. To facilitate the finding of slot machines, players can categorize games by provider. Customers of vegas hero can enjoy titles like the Starburst, Mega Moolah, Gonzo’s Quest, Wins of Fortune, Viking Runecraft and others. When it comes to table games, fans will not be disappointed. Players of Vegashero can tighten their strategy with a range of games including variants of blackjack, baccarat and roulette. These include games such as European Roulette Gold, Single Deck Blackjack and French Roulette. Players can enjoy video slots such as Texas Hold’em, Oasis Poker, Poker Pursuit and a few others. There is also a selection of live casino tables that are open 24/7. Players can enjoy HD quality tables with friendly dealers. Games include Live Blackjack, Live Roulette and others. The live casino games are offered by Netent. This is a qualitative producer of live casino games, although we consider it slightly less than Evolution. Vegashero also has a mobile website, which is also navigable from your tablet. There is no app yet, but that is not necessary, given the compatibility of the mobile browser. As a new member of Vegas Hero, you may receive a bonus of 50 free spins + up to € 1000 deposit bonus. And it does not stop there. Because if you have received the bonus, there is a very cool VIP program where loyal players are valued. The free spins with your first deposit are distributed over 5 days, 10 spins each day. These are valid for 24 hours each time, so make sure you play with them the same day! The wager of the bonuses is fairly standard, set to 40x. This means that you must cash in the total 1000 euros that you receive in bonus credit, 40x. Please note: the wagering only applies 100% to slot machines. With table games and live casino it is possible that bets do not count for 100%. The bonus is not available for players who deposit with Neteller or Skrill. Of course for people who make a deposit with iDeal, credit card or traditional bank transfer. What does VegasHero Casino look like? Vegashero has a very sleek appearance. The colors red and white are the most striking. With sharp, slanted lines, the buttons and categories are provided with a sleek design. The theme of speed is what Vegas hero tries to exude. So also in the VIP room where fast cars pass by. In order to further strengthen the speed demon theme, a skyscraper background has been chosen on the home page which is a mix of iconographic buildings from different cities. Like every online casino, Vegashero also has broad support. The disadvantage is that the live chat support is not open 24/7, but only from 8 o’clock in the morning until 12 o’clock in the evening. Outside these hours you will have to contact us via telephone or email. Players at Vegas Hero Casino can rest assured that their personal and financial information remains secure. The casino, like other online casinos, uses standard security protocols, 256 bit SSL data encryption technology, to ensure that all transactions, including deposits and withdrawals, are conducted in a completely secure manner. We think Vegas Hero is an infectious online casino. In particular, it will appeal to the segment of men in the 18-38 age group, who earn fast money. Despite the VIP program that works very well, high rollers and people with a decent disposable income will find a number of facets a shame. The max. Payout of 22,000 euros is much lower than at other online casinos. The bonus percentage for the bonus is on the low side, and the live casino games (which are often popular with VIP players) are from Netent, the lesser brother of Evolution. Fortunately, Vegas hero does well with these drawbacks with a good support, extensive portfolio of games, deposit with iDeal and a nice design!